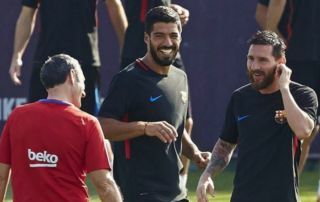 Lionel Messi and Luis Suarez, as well as Gerard Pique, Ivan Rakitic and Sergio Busquets, all made the request to Barcelona manager Ernesto Valverde for Malcom to not start against Inter Milan in their Champions League clash on Tuesday. This is according to Don Balon, who note that all of the five aforementioned Barcelona stars asked Valverde to not hand a starting role to the Brazilian for Tuesday’s clash, and that the reason for this is that they believe the winger still needs time to adapt to life at Barcelona. The report also notes that the five Barca stars didn’t want Malcom starting as they wanted their side to line up with more ‘defensive involvement’. This news will come as quite a shock for Barca fans to hear, as they are constantly crying out for Malcom to be given a starting role by Valverde, and to hear that so many players didn’t want him starting would’ve sure come as a surprise. 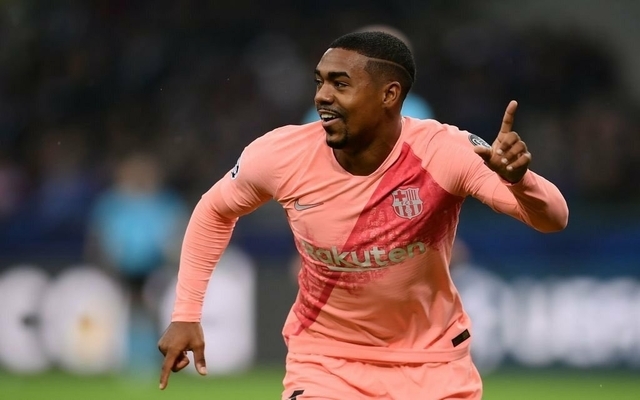 As two senior players of the squad, Messi and Suarez would surely want Malcom to get some game time under belt and familiarise himself with Barcelona’s playing style in an actual match situation. The Brazilian has spent around 3 months with the club since his move from Bordeaux in the summer, so it seems weird for Barcelona’s stars to think that Malcom needs longer to settle in. The winger didn’t seem to have any problems on the pitch, as he ended up scoring within just minutes of coming on to give Barcelona the lead. Given how he performed after he was brought on, we may very well see Malcom start for Barca against Real Betis this weekend, a decision that may not go down very well with Messi, Suarez and Co….